Hello friends, and welcome to my column: Reception Misconception. This list is comprised of a group of Wide Receivers that I expect to either outperform or underperform based on their ADP (Average Draft Position). This is not entirely groundbreaking stuff, as articles like these are published by the boatload around this time of year. But mostly, those articles are wide ranging and are little blurbs about a larger group of players. Here at Jordan’s Jump, we prefer Quality over Quantity. This list is comprised of 4 Wide Receivers that you will have a chance to draft this upcoming season, all in those mid rounds that can make or break your draft. We all know what to expect from AB and Hopkins, but what about those mid round guys who you usually look back on and wonder what the Hell you where thinking when you decided to follow the hype trains blindly. And buddy, there are a lot of hype trains this time of year. I have fallen into this trap myself many times, but I also have drafted the likes of Keenan Allen in the 4th round and Davante Adams in the 6th, so trust me when I say I know my Wide Receivers. On the other hand, I’m the guy who thinks Sammy Watkins is the most talented receiver in the NFL. So follow what I say at your own peril. All joking aside, I took a little deeper dive into these 4 players while I pretended to mow lawns at my summer job, and I picked out some stats and observations that maybe you’ll remember when you’re deciding on whether or not to draft these guys. I hope you enjoy. Has there in recent memory been a WR who has gained name recognition solely based off of QB play more than Randall Cobb? Cobb is a receiver who does not have incredible distinguishable traits (height, long speed, route running, etc) and slightly troubling injury history (only played in all 16 games once since his career began in 2011). He has only exceeded 1000 yards once, and hasn’t surpassed 830 since 2014. Is he known for big catches? Well he certainly had the biggest catch to claim the NFC North crown in 2013 with his game winning touchdown over the Bears. Which would be impressive if it wasn’t a blown coverage by the revolving door at safety, that is Chris Conte. He’s had some big playoff games, but those are how useful during a fantasy season? About as useful as advice from Jim Irsay on how to handle your quaaludes. If you’ve drafted Randall Cobb any year since 2013, you’ve likely been extremely underwhelmed. He has been buoyed by his extraordinary 2014 campaign when he caught 91 balls for 1287 yards and 12 touchdowns, and by the fact he is Aaron Rodgers’ slot receiver. Otherwise, you’ve seen far too many games of 4-5 receptions for 50 yards and a touchdown every 3rd or 4th game. With his current ADP, you’re paying a 7th round pick for a starting WR for Aaron Rodgers, which in theory sounds good. With Jordy Nelson out of town, too, extra targets are in order. But expect Davante Adams to be the main beneficiary of those targets, especially in the red zone. With Cobbs ADP, his current ankle situation (offseason surgery) and underwhelming statistics the majority of his career, Shiva thinks you should look elsewhere. Now to the toughest WR on this list to project. Jarvis Landry, fairly or not, has been talked about in the upper echelon of WRs in the NFL. Below AB, Julio, Hopkins, Odell, Green, Thomas, Keenan Allen, etc., lies a slew of receivers all vying to make the jump into that tier. Landry’s freshly inked name on a 75 million dollar Browns extension is one of those receivers. 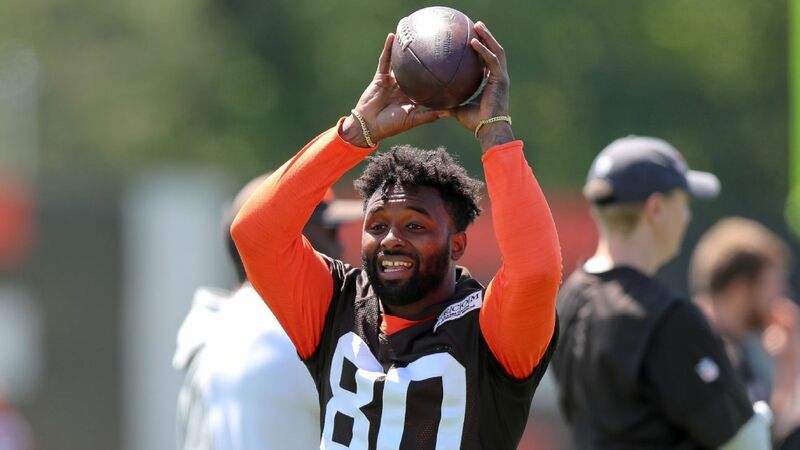 Landry joins Josh Gordon as the go to targets for Tyrod Taylor, and likely Baker Mayfield. First, let’s get into the stats. We all know Landry has incredible reception numbers: 400 thru his first 4 years in the league, most all time. League leading 112 last year with the rotation of Dolphins QBs to go with 987 yards and 9 touchdowns. Then why would Miami let him go? Well this is a numbers column, but if I were a lesser man, I would mention he is always trying to start fights with opposing defensive backs, has been thrown out of games, and has some antics that some people deem immature and detrimental to a locker room. Some would even call him OBJ’s yes man and his diva copy cat counterpart. But I would never mention all of that, because that’s all speculative. Fact remains, he likely was let go because he doesn’t offer much in terms of yards per reception and until this season lacked a nose for the end zone. But he does offer relatively steady hands, a well above average YAC, and can force missed tackles in the open field. He offered a very high game to game PPR floor, but his ceiling is not as high as the other receivers mentioned. All signs out of camp point to Landry and Taylor having an incredibly strong rapport early, which does not surprise me. In 2015, with a finally healthy Sammy Watkins, Taylor threw to his X receiver 96 times for 60 receptions with over 1000 yards and 9 touchdowns, most of which occurred in the second half of the season. In the last 8 games of 2015, only AB graded higher than Watkins in PFF’s WR rankings, thanks to an incredible deep ball connection between the two teammates. Taylor has not had a receiver that talented since that stretch with Watkins; until now. Taylor finally has a fast, physical downfield threat who he can target from goaline to goaline, and who can score from anywhere on the field. But that is not Landry. It is Josh Gordon. Josh Gordon is BUILT for Tyrod Taylor. A receiver who can make a significant impact on 96 targets. Listen, I like Tyrod. I do. But the Bills were a WILDLY unsuccessful team when Taylor was depended on to win with his arm (1-4 in games where he threw > 30 times). He usually throws 28 times a game, which leaves somewhere in the ballpark of 18-20 completions. Enough targets to go around for two receivers who command the ball? Not to mention a blooming tight end David Njoku and Duke Johnson who is one of the best receiving backs in the NFL? Tyrod has a beautiful deep ball when he has a legitimate downfield threat. He can break contain and extend the play for receivers like Gordon. He does not like the intermediate routes to receivers over the middle, he likes to play it safe with dink and dunks and then long balls balanced by a strong running attack. I believe Todd Haley knows this. I do not expect the Browns to pass enough to sustain Landry, let alone both WRs for the draft prices they will cost: 4th round picks. If I was to bet on one, it would be Josh Gordon. Not to mention the issues that come along with a first year offense on a new team with a probable QB switch during the season. If Gordon misses time, Landry will do what he does: get a lot of catches with decent yardage. But expecting Tyrod Taylor to sustain both Landry and Gordon’s high fantasy prices is unlikely in the eyes of the Shiva. 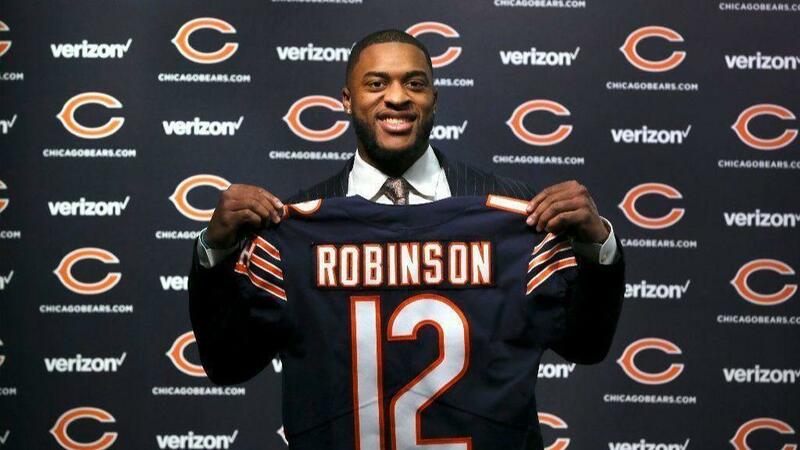 Next up on the list is Allen Robinson, the new #1 in Chicago. Another member of the 2014 WR draft class, Robinson burst onto the scene in 2015 with a ridiculous 151 targets to 80 receptions for 1400 yards and 14 touchdowns. Averaging 17.5 yards a pop, Allen was clearly the beneficiary of Blake Bortles ducks when down by 30 in the 3rd quarter. Now, with a WR who can amass those type of numbers, on a Jaguars team ready to contend… why on earth would he not be re-signed in his prime? Well I’ll tell you: 2015 was a fluke. The guy had the EXACT same number of targets the next year, 7 less receptions and over 500 less yards and 8 less touchdowns. Crazy, right? Go watch Allen Robinson’s 2015 highlights on YouTube and tell me what you see. Seriously, go do it. …… have fun watching him come down with jump ball after jump ball after jump ball? That was his 2015: jump balls when down by 3 scores. Allen Robinson is a high point specialist, which is valuable. But he is not an exceptional route runner, he is not a burner, and he averages converting ~50% of his targets. Upper echelon guys like Brown and Keenan Allen are around 65%. Judging by Nagy’s offense in KC, I would not expect A-Rob to accumulate 151 targets, I’d say closer to the 100-110 target mark with decent red zone usage. Trubisky spread the ball around last year, not to mention the Bears drafted Anthony Miller, signed Gabriel and TE Trey Burton, and have pass catching RB Tarik Cohen to give targets to. Oh and Kevin White is coming back for his 4th rookie season, ever heard of him? I also don’t envision jump balls being apart of the Bears offense, when did you see those in KC? And is Robinson expected to win those over Xavier Rhodes 2x, Darius Slay 2x, Patrick Peterson, Brent Grimes, Stephon Gilmore, Janoris Jenkins, Richard Sherman, Marcus Peters, Aqib Talib, or Tredavious White consistently? I do not envision Trubisky keying in on Robinson enough times to allow him to have a 2015-like campaign, not to mention the strong running game and required feeding of bell-cow RB (and goaline owner) Jordan Howard and the aforementioned Cohen. I expect Robinson to have a nice season, but for the 4th round pick he will cost, coming off a torn ACL, you’d be better served elsewhere. 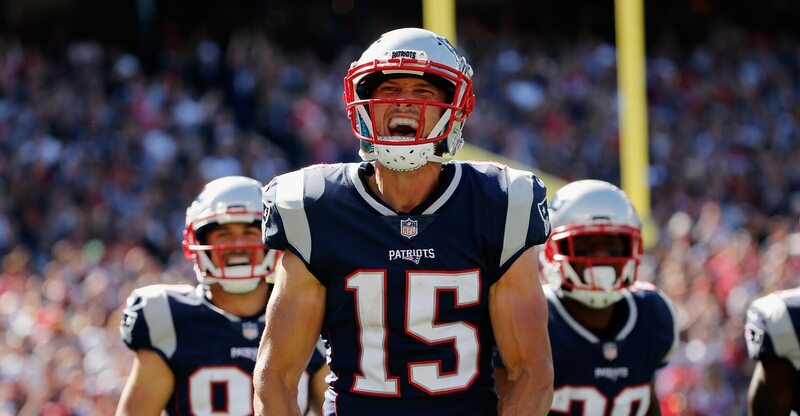 Chris Hogan is the final name on the list, who all of a sudden has gone from Buffalo Bills cast off to #1 WR on the Patriots depth chart to start 2018. With Brandin Cooks sent to LA, Julian Edelman suspended, Amendola doing body shots off of Olivia Culpo on south beach and Jordan Matthews shown the door after a shot of espresso with New England, Hogan is being hyped up and has seen his ADP soar of late (up to 55 according to ProFootballCalculator). And rightfully so. No, I am not going to sing the praises of Hogan and how he is the next Welker, Moss, etc who will light the fantasy world on fire for the entire season. But with proper maneuvering, Hogan could wind up being one of your most valuable draft picks while he sits on someone else’s team to end the season. Hogan has been a darling in NFL circles since his nickname “7/11” came about on Hard Knocks because he is always open. While that may not be necessarily always true, he has a knack for being a shifty route runner. A side of his game not seen until last season, however, was his big play ability. He was Tom Brady’s big play receiver along with Brandin Cooks, and scored 5 touchdowns in the first 5 games of the season, proving to be a steady Red Zone target. He wound up hurting his shoulder and that derailed the rest of his 2017 campaign, but returned in the Super Bowl to amass 128 yards. Hogan is healthy now, and appears to be the last man standing, along with Gronkowski (for now), as Brady’s last trusted receiver while he awaits Edelman’s return from his PED suspension. That means Hogan has 4 games to maximize his fantasy value before Edelman returns to take back his regular ~8-10 targets a game. Currently costing a mid 5th round pick, Hogan can fill many slots on a redraft league team. If you choose to draft RBs early, Hogan can fill in nicely as your WR1 or a high WR2 for the start of the season while you let the dust settle to find more WR depth. Or Hogan can be a great flex option if you go WR early and no RBs in the 5th catch your eye. Either way, you’re getting Brady’s unquestioned number one receiver for 4 games who has shown he can score touchdowns and create big plays even with competition from Gronk and Julian Edelman. Do I think Hogan can stay healthy and put together a monster campaign? It’s possible. Would I bet on it? Probably not. But drafting Hogan in the 5th or 6th (with a likely slide down the draft board with people who don’t do their homework) would be a wise investment, because if he performs like he did at the start of 2017 you have another WR1. You can then trade him, or keep him if you desire and risk the decline in value. Either way, I would not be surprised to see Hogan start off strong in 2018. If you draft him, how you view the rest of Hogan’s season will be up to how much faith you have in him. I hope you enjoyed reading the article, cause I had a lot of fun writing it. Good luck to all during their upcoming fantasy drafts, and if you want to follow me on twitter, I have daily #ShivaThoughts @kyleemerson13. These are little daily blurbs and hot takes I shoot out there, and my success rate isn’t determined because no one calls me on it/takes me seriously. But I have fun with it regardless. Cheers.